Supergiant Games’ 2011 action RPG, Bastion, garnered wide spread acclaim from critics and gamers alike, and more details on their recently announced title, Transistor, came to light during PAX East. In an interview with Kotaku, Bastion writer and director, Greg Kasavin, spoke on gameplay and story elements that players can expect to find in the upcoming game. Much like Bastion, Kasavin said how he wanted to keep the story moving as players traverse the game. One of the most unique storytelling aspects in Bastion was the narrator, who would react to players’ actions and loadout as they played. While Kasavin said that they will not be following that exact formula in Transistor, some elements will remain. Rather than a narrator, the game’s “voice” will actually be that of the player’s weapon, the titular Transistor. 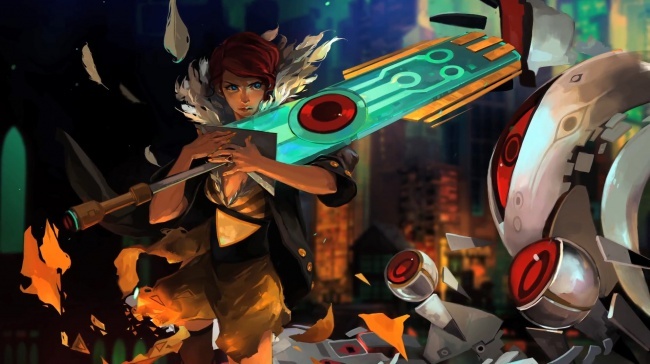 Throughout the game, the Transistor will speak to the player, presumably to give advice or comment on the current situation. Logan Cunningham, who provided the voice of Bastion’s narrator, will again be lending his talent as the Transistor in the new game, though Kasavin made it clear that they did not want Cunningham to simply reprise the same role. While a concrete release date for Transistor is not yet nailed down, Kasavin said that they are shooting for an early 2014 release. It is also unknown as of yet whether Transistor will be on current gen or next gen consoles, but we will report new details as they come.